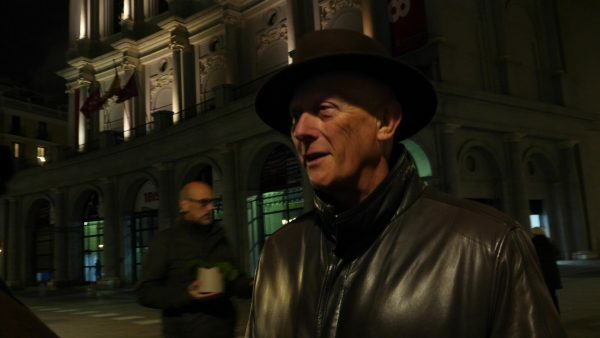 MADRID, Spain—Bundled-up in a heavy coat and thick scarf, a theatergoer stared back at her own bewildered expression on the glass door of the Royal Theater. 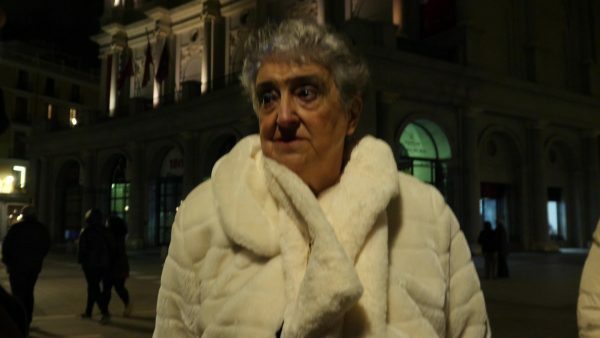 She had expected one of Spain’s top theaters to burst with life and warmth for the opening night of Shen Yun Performing Arts on Jan. 31, in Madrid, but she was instead greeted with eerie emptiness and gusting wind while the theater’s metal gates creaked. Tears rolled-down Julieta Portillo’s face when she discovered the traditional dance and music performance she had looked forward to watching was canceled. She was one of the many audience members who didn’t receive a notification from the theater that Shen Yun’s performances had been canceled. Portillo said her family went through a lot of effort to get to the theater to experience Shen Yun as there was a taxi strike on the same day. New York-based Shen Yun had booked the Royal Theater in Madrid to perform on Jan. 31 and Feb. 2. The company seeks to revive 5,000 years of Chinese culture through performing arts, according to its website. Shen Yun performances include pieces that portray contemporary China, including the ongoing persecution of Falun Dafa (also known as Falun Gong)—a topic considered taboo by the Chinese regime. 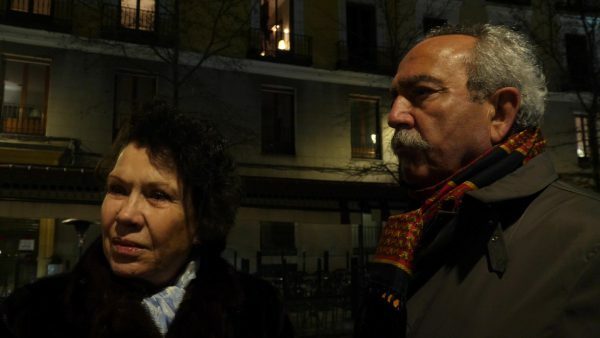 After Shen Yun’s performances were canceled in Madrid, a European politician raised concerns about possible Chinese Communist Party (CCP) pressure. The suspected CCP pressure prompted a U.S. non-profit organization to launch a probe into whether the Chinese regime was actually involved in canceling the cultural show. Investigators with the World Organization to Investigate the Persecution of Falun Gong (WOIPFG) recorded the Chinese ambassador to Spain boasting about having applied pressure on the Royal Theater’s general manager to cancel the performances, according to a press release issued by the organization. The non-profit organization investigates human-rights abuses perpetrated against adherents of the spiritual practice Falun Dafa. Many audience members are upset about the cancelation and unsatisfied with the theater’s excuses. “They have told us that they have returned the money to our credit card—and that’s it, nothing else. That’s all they have told us,” González said. Another audience member, Alfonso Gutiérrez Villacañas, expressed his disappointment with the theater’s handling of the cancelation. “They didn’t say anything to me, just that it was canceled and they slammed the door in our noses. They told us nothing, neither what the reason was, nor have they explained anything to us,” Villacañas said. 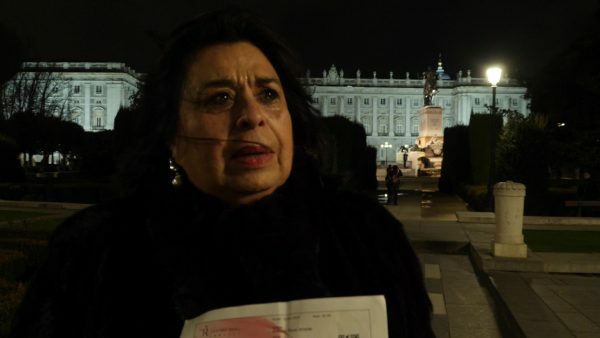 Like Villacañas, fellow audience member Elena González Gutiérrez said she was very upset about the cancelation and has made a formal complaint with the theater. “I have filed a claim [with the theatre]—since they give you a copy I will also present it directly to the town hall. So I will go straight to the top management, and will I not let up until something is done,” Gutiérrez said. WOIPFG’s investigation revealed the Chinese Ambassador to Spain, Lü Fan, admitting that he made a personal visit to the general manager of the Royal Theater to pressure him into canceling Shen Yun performances. The organization said it conducted the investigation after seeing media reports about possible Chinese embassy interference to pressure the theater into canceling the performance. As part of its undercover investigation, on Jan. 22, WOIPFG made a phone call to the Chinese Embassy, posing as a high-level Chinese government official. The person who took the call identified himself as Lü, according to the press release. “The investigation confirmed that the cancellation of the theater’s contract with the Shen Yun organizers was entirely the result of the Chinese Communist Party’s (CCP) interferences,” WOIPFG said in its statement, and released an audio recording of the phone call on its website, posted on Jan. 28. “Lü Fan personally put pressure on the theater to cancel the contract with Shen Yun Performing Arts. By using the CCP’s control of the large Chinese market as an enticement, Lü Fan and the theater’s director jointly planned to cancel the Shen Yun performances under the pretext of technical difficulties,” WOIPFG said on its website. Lü explained how he convinced the Royal Theater’s general manager to cancel Shen Yun by warning the theater “can’t afford to lose the Chinese market because of this,” according to the phone call. He said he also worked closely with the general manager to come up with a reason to cancel the show—which was subsequently used by the theater. Founded in 2006, Shen Yun’s annual productions have toured hundreds of theaters around the world, with sell-out shows in New York, Barcelona, and many other cities.